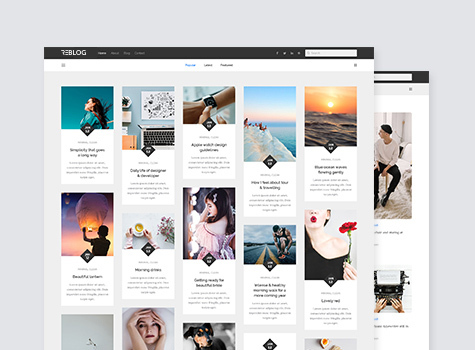 Reblog is a clean, minimalistic and responsive masonry blog WordPress theme.It is perfectly suited for a simple magazine, blog or portfolio website.Reblog allows you to customize your WordPress site the way you want it and tailors it to your needs so that no website will ever look alike to yours.Reblog is an adaptable platform that can readily service all manners of websites across an endless range of niches and markets with effortless ease, quickly shifting its shape and look to match your most extreme specifications. 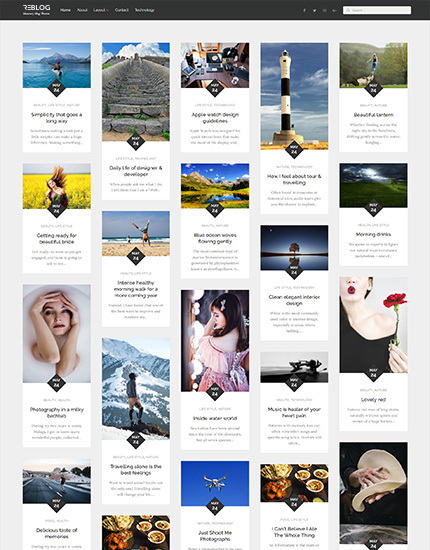 Reblog is a clean, minimalistic and responsive masonry blog WordPress theme. 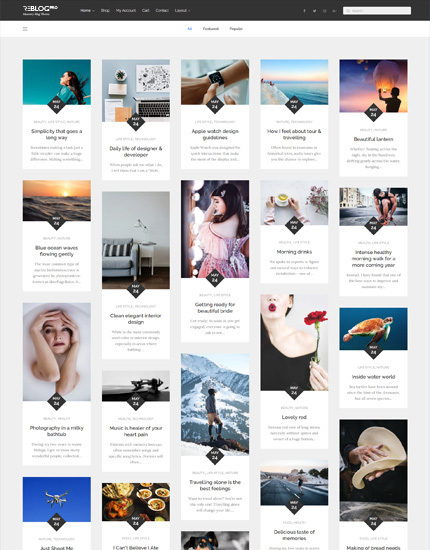 One of the perks of using the masonry grid style layout is it makes your site look clean and organized. 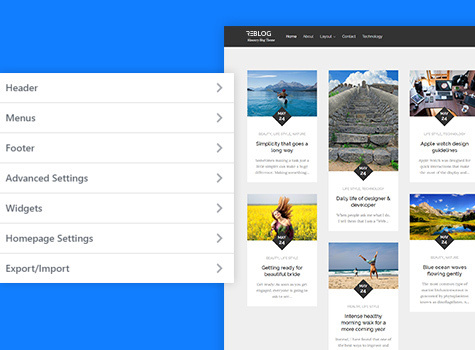 Reblog offers you a variety of theme options to manage your site with easy customization tools. 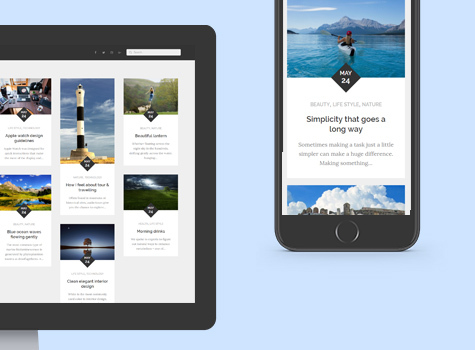 Reblog Theme is mobile friendly. Adapts automatically when viewing on iPhones, iPads, and other small hand-held devices. Reblog is very easy to setup. 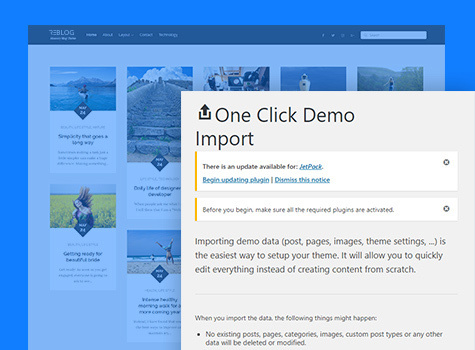 Just download and activate, and you are good to go with One Click Demo Import activation. 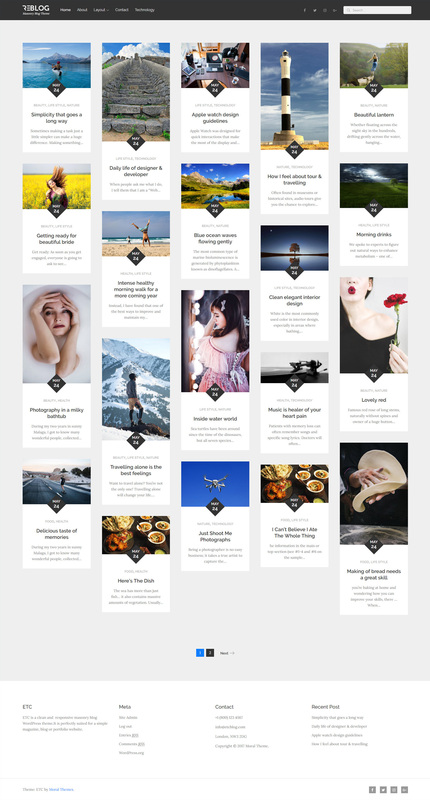 Within some simple clicks, you can add events and courses .